If your computer has a secondary monitor, Instant Photo Booth can take advantage of this to bring more attention to your photo booth. One of the things we have noticed with our own photo booth is that people love to poke their heads behind the curtain to see what’s going on. This is fine, but what is worse is if they don’t know what’s going they often just keep walking past! 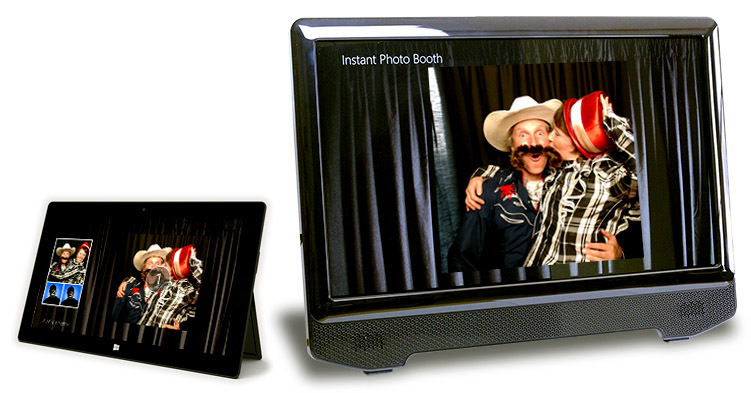 Use an external monitor or even a projector to show custom content from Instant Photo Booth. You can show your own background image and optionally have each image from the live photo session appear as they are taken. You can also show a slide show of previous photo sessions.